We've made it easy for you and put all of the beginner friendly discs in their own category. Buying one of these discs will be your best starting point, and will reward you with lots of fun. Please Read the How to Choose your First Disc section before choosing a disc. 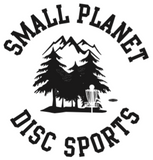 Beginner Friendly Mid- Range Discs. Beginner Friendly Putt & Approach Discs. If your after one disc only, we recommend Buying a Mid-Range Disc. Weight Effect on Disc Flight Path: The rule of thumb is: a heavier version of any given disc will tend to be slightly oversable/harder to throw than a lighter version of the same disc. We recommend choosing a disc in the weight range that works best for your level of power (based on technique) and strength (based on your physical characteristics). Plasic Blend Types Effect on Disc Flight Path: On many occasions manufacturers will produce the same disc mold in a variety of plastic blends. Different plastic blends will affect the overall flight path of the same disc mold. There will be minor differences in flight number ratings within the same mold, when made from different plastics blends. In addition, the more durable plastic blends will retain flight number ratings for a longer period of time. For full information on all the different plastic blends, please refer to each manufacturer plastic types information page.